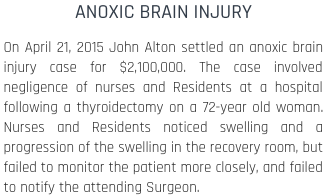 With The Law Offices of John M Alton Co, LPA in your corner, you can rest easy knowing that I will be working on your serious injury case without delay. I want to see your pain and suffering disappear. I want to help you find a resolution to your serious injury matter that will be both financially and emotionally gratifying for you. 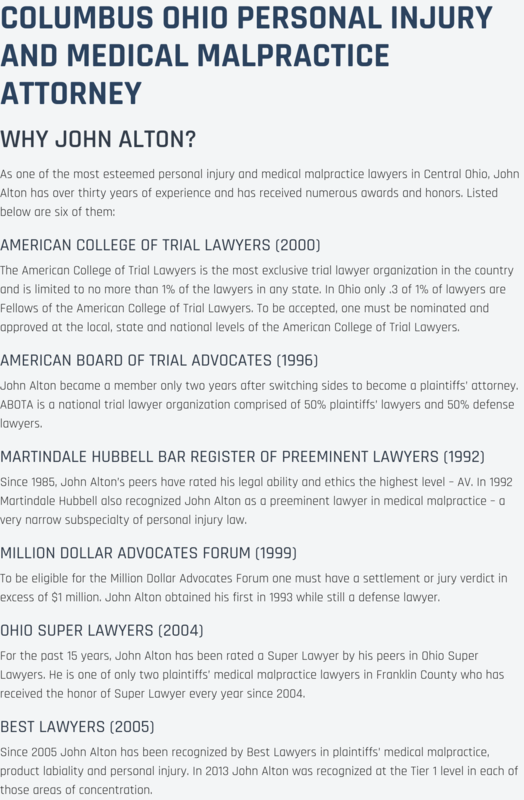 The Law Offices of John M Alton Co, LPA can assist you in Columbus and the surrounding area. My final intent is to get you real results and back on track in life. I want to resolve your serious injury case as quickly as possible. When you need to recover medical expenses, lost wages, and other expenses necessary to protect your future security and care, you need to contact an advocate who is dedicated to protecting your rights. The Law Offices of John M Alton Co, LPA is here to protect your rights, your assets, and your emotional well-being during your recovery. Your serious injury matter needs to be resolved with results. You deserve to be treated fairly and receive compensation from the negligent party. I will help you achieve that goal with results. Become a client of The Law Offices of John M Alton Co, LPA. 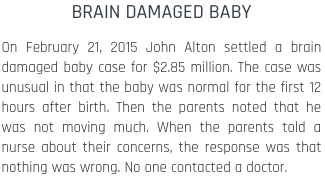 The Law Offices of John M Alton Co, LPA brings nearly 25 years of legal experience to the table. I will treat your serious injury case with the utmost respect and confidentiality. I will explain the law and how it impacts your case, keep you informed, and move your personal injury matter forward through the legal system. I will work hard to achieve the right results toward your serious injury case. Your serious injury case will be of utmost priority to me. We're standing by waiting for your call to our Columbus firm. With years of experience, we're ready to take on your unique serious injury case in the Columbus area. Give us a call on our direct line at (614) 221-6751.